Scott Z. Burns, who has worked with director Stephen Soderbergh on some films, has been to hired to rewrite Bond 25’s script, The Playlist reported. Also, according to the story, Bond 25’s start date was pushed back to April from March. If true, that would confirm a Feb. 5 tweet by Steven Weintraub, editor of Collider.com. Weintraub said Bond 25 director of photography Linus Sandgren told him that the movie would start filming in April. The Playlist’s story said Burns’ rewrite is an “overhaul” of a script by Neal Purvis and Robert Wade, who have worked on seven Bond films, including Bond 25. Earlier this decade, Burns worked on a script for a movie version of The Man From U.N.C.L.E. when Soderbergh was attached as director. That story would have been a Thunderball-inspired plot based on a real-life incident in the 1960s. Soderbergh exited the project and Burns’ script was dumped. Guy Ritchie directed the film, which came out in August 2015. 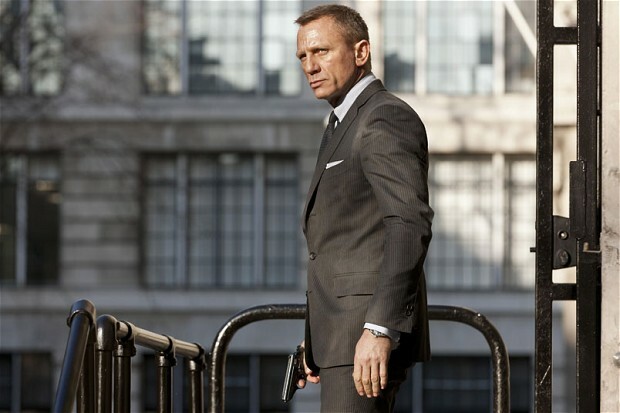 On Jan. 1, a site called Geeks WorldWide said Paul Haggis, a screenwriter on Casino Royale and Quantum of Solace, had also contributed to the Bond 25 script. In 2018, Danny Boyle was hired to direct Bond 25 but left over “creative differences.” His preferred writer, John Hodge, was announced as the scribe at that time. After Boyle’s depature, Cary Fukunaga (himself a writer) was hired to direct Bond 25. The Playlist said Bond 25 currently has “a script that no one is entirely happy with.” It describes Burns as having a reputation for being a top script rescue doctor. Burns will work on Bond 25 for “at least” four weeks, according to The Playlist. Eon Productions announced Feb. 15 that Bond 25’s release date was pushed back to April 8, 2020, from Feb. 14, 2020. It gave no reason. Logan Lucky, the heist movie with Daniel Craig in a key role, flopped its opening weekend in the U.S. despite favorable reviews. The Steven Soderbergh-directed film generated $8 million at more than 3,000 screens, according to Exhibitors Relations, which compiles box office data. The No. 1 movie for the weekend was The Hitman’s Bodyguard at an estimated $21.6 million, Exhibitors Relation said in a separate Twitter post. The movie got a 93 percent “fresh” rating on the Rotten Tomatoes website that compiles reviews. Craig was among those praised by critics. Another critic, Adam Graham of The Detroit News, wrote that Craig was the main asset of the film. “Craig is usually so stoic on screen — has his James Bond ever smiled? — that you forget that Craig has any sort of charisma behind his perma-scowl, but here he’s having so much fun that he casually makes off with the movie,” Graham wrote. 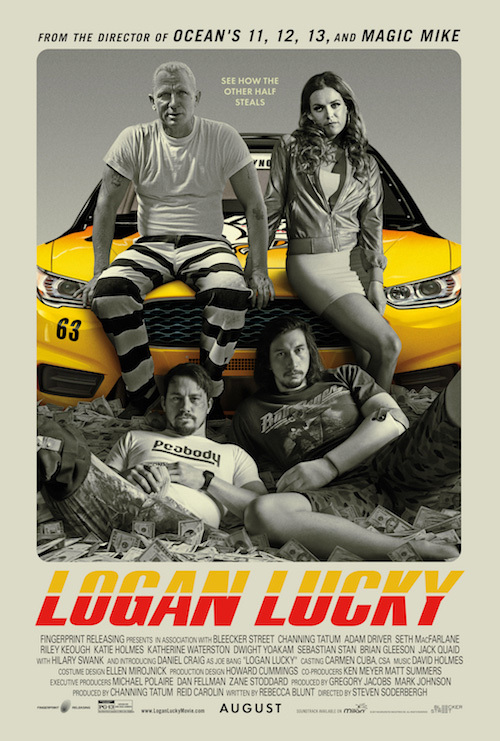 Logan Lucky, of course, was the movie Craig was promoting last week when he announced he’d play 007 again in Bond 25. On Aug. 15, he told radio stations no decisions had been made but then said he was returning as Bond on CBS’s The Late Show. The cast of The Man From U.N.C.L.E. television show. Almost five years ago we published a post about The Man From U.N.C.L.E. curse. Since the end of the 1964-68 series, a lot of things just seemed to go wrong. Well, after taking a look at the original, we decided to dress it up with events of the past few years. The more things change, the more, etc. So you be the judge whether there’s a curse. 1970s: Veteran James Bond screenwriter Richard Maibaum is hired to develop a new version of U.N.C.L.E. Nothing comes of it, despite Maibaum’s track record. 1976-77: Writer-producers Ivan Goff and Ben Roberts hire Sam Rolfe, the original developer of the show, to do a script for a made-for-televison movie that could be the springboard for a new show. “The Malthusian Affair” has some interesting concepts (including having a dwarf occupy an armored exo-skeleton) but it doesn’t get past the script stage. 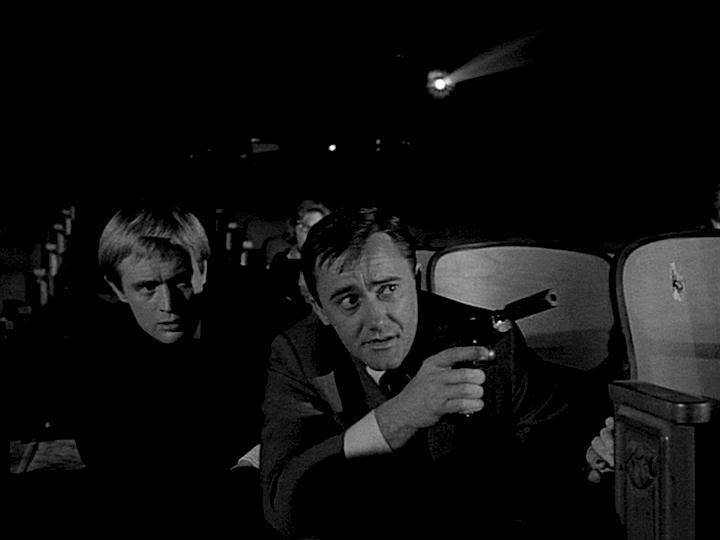 Had it become reality, Robert Vaughn and David McCallum would have reprised their roles as Napoleon Solo and Illya Kuryakin. Early 1980s: Would-be producers Danny Biederman and Robert Short cobble together a theatrical movie project. Their script had Thrush, the villainous organization of the original series, take over the world without anyone realizing it. Vaughn and McCallum had expressed interest, as had former 007 production designer Ken Adam. Alas, nothing happened. 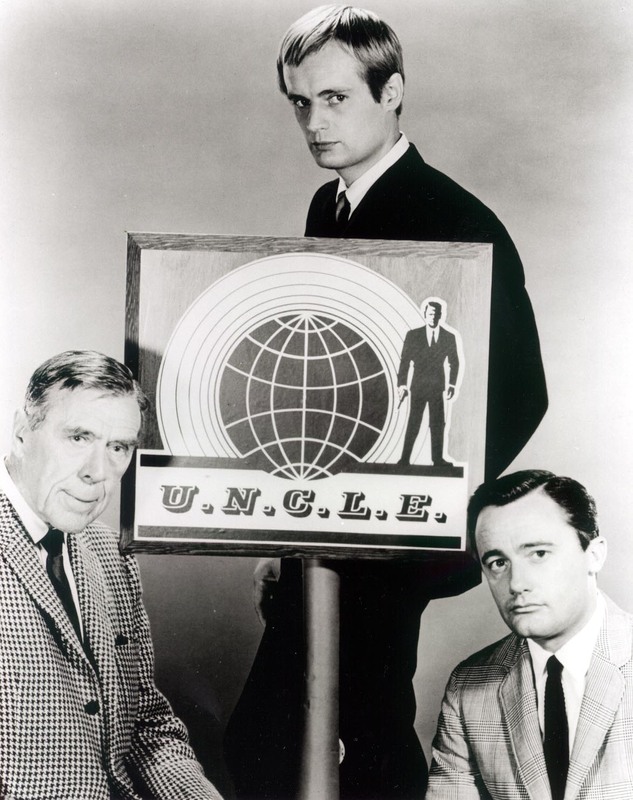 1983: The made-for-television series movie The Return of The Man From U.N.C.L.E. airs on CBS. No series, or even a sequel made-for-TV movie, develops. Early 1990s: Sam Rolfe attempts to do a made-for-cable-television movie that would have been an U.N.C.L.E. “next generation” story. Rolfe drops dead of a heart attack in 1993, ending any such prospect. Circa 2004-2005: Norman Felton, executive producer of the orignal show, cuts a deal with a small production company for some sort of cable-televison project. Nothing concrete occurs. 2010-2011: Warner Bros. entices director Steven Soderbergh to direct an U.N.C.L.E. movie after a number of false starts. However, the director and studio can’t agree on budget and casting. Ironically, one of Soderbergh’s choices, Michael Fassbender as Napoleon Solo, later emerges as a star. Soderbergh gives up in late 2011. Spring 2013: Guy Ritchie is now the director on the project. For a time, there are negotiations with Tom Cruise to play Solo. He’d be paired with Armie Hammer as Illya Kuryakin. In May, Cruise breaks off talks to concentrate on a new Mission Impossible movie. June 2013: The Solo slot doesn’t stay vacant long. Henry Cavill, currently doing publicity for Warner Bros.’s Man of Steel emerges as the new choice. September 2013: Filming actually starts on an U.N.C.L.E. movie. Is the curse abut to lift? August 2015: The answer turns out to be no. The Man From U.N.C.L.E. is trounced at the box office. One of the movies doing the trouncing: Mission: Impossible Rogue Nation starring none other than Tom Cruise. Meanwhile, some fans of the original show complain Rolfe was denied a credit and Jerry Goldsmith’s theme went almost entirely unused. August 2016: A year after the flop, some salt gets rubbed in the wound. Matthew Bradford, in a post on the Facebook group The Man From U.N.C.L.E. Inner Circle notes the following: A commentary track for a Blu Ray release for Modesty Blaise dismisses U.N.C.L.E. as “unwatchable” today. It turns out the commenter, film historian David Del Valle, based his comment on an episode of The Girl From U.N.C.L.E., where Robert Vaughn appeared as Solo. That episode was titled The Mother Muffin Affair and features Boris Karloff as an elderly woman. Director Steven Soderbergh says he twice was in discussions about working on a James Bond film, according to THE PLAYLIST website. The director, who previously vowed to retire at age 50 but is still at it, made the comments during a screening of his 2012 film Haywire, according to The Playlist. That’s all there is Bond-wise. No details available about the time the supposed discussions took place. Haywire, released in the United States in early 2012, featured Gina Carano as a double crossed spy operative who gets revenge. It was made in 2011, before Sodebergh was supposed to make a movie version of The Man From U.N.C.L.E. 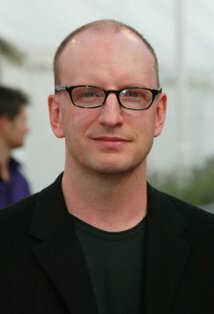 Soderbergh dropped out of the U.N.C.L.E. project in late 2011 following disagreements with Warner Bros. over casting and budget. The U.N.C.L.E. film eventually was directed by Guy Ritchie. Soderbergh is scheduled this fall to director Logan Lucky, a heist film that includes Daniel Craig in its cast, part of the actor’s growing list of non-007 projects. Daniel Craig during filming of Skyfall. Daniel Craig’s acting schedule over the next year or longer is starting to firm up. So, here’s a summary of where he stands with non-007 projects. LOGAN LUCKY: Heist movie directed by Steven Soderbergh. Status: In talks, according to Deadline: Hollywood. Timing: Filming sometime in the fall. Deadline: Hollywood said pre-production began with last weekend’s Coca-Cola 600 near Charlotte, North Carolina. Details: Soderbergh typically directs lean productions with ensemble casts. Channing Tatum has been described as the movie’s star by The Hollywood Reporter. Status: Announced, will be part of the New York Theatre Workshop’s 2016-2017 season. Timing: No precise schedule disclosed. Details: Craig will play Iago. Status: Goes into production in 2017. Will be shown on Showtime pay-cable channel in 2017 and 2018. Details: Craig will play “Andreas, a German provocateur who crosses paths” with a young woman named Purity, who is also known as Pip, according to The Hollywood Reporter. He will also be an executive producer. Timing: No precise production schedule disclosed. If all 20 episodes are produced in 2017, it could take six months (which assumes less than one-and-a-half weeks per episode). Daniel Craig may join a heist movie directed by Steven Soderbergh amid signs there’s little progress on Bond 25, Deadline: Hollywood reported. The website also reported that there “no negotiations” yet what studio will distribute Bond 25. Metro-Goldwyn-Mayer’s most recent two-picture deal with Sony Pictures expired with 2015’s SPECTRE. Craig and Katherine Heigl “are said to be finalizing deals to join Steven Soderbergh’s heist film Logan Lucky about brothers who plan a crime during a NASCAR race in Charlotte,” the entertainment news website said. Soderbergh once was attached to direct a movie version of The Man From U.N.C.L.E. He quit the project in late 2011 and for a time declared himself retired from directing. If Craig joins Logan Lucky, it adds to his growing list of non-007 projects. He’s scheduled to appear in an off-Broadway production of Othello this fall and is involved with Purity, a television limited series. There have been no negotiations on where the Bond movie will land (Sony or Warner Bros. are out front on this) and although it was thought that negotiations might start after the first quarter 2016, parties are not likely to engage in negotiations until later this year. There is no workable script yet and the creative elements have yet to come into place. It has also been widely reported (and confirmed by Deadline) that Jamie Bell has discussed the Bond role with his Film Stars Don’t Die movie producer Barbara Broccoli (who has long produced the Bond movies). 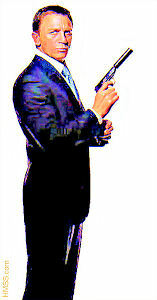 The possibility of the 5-foot-7 Bell, 30, being a potential future 007 has been reported in a variety of outlets, including The Independent. He played the Thing in the 2015 version of The Fantastic Four. With a script by Ritchie and his “Sherlock Holmes” writer and producer Lionel Wigram, the film is an origin story that tells of the first pairing of the two spies — one American, one Russian. Ritchie refers to director Guy Ritchie, who previously helmed two Sherlock Holmes movies starring Robert Downey Jr. Later in the Variety story, it lists Burns as among a number of writers who’ve tried devising an U.N.C.L.E. tale over the years. Also, Burns HAS TALKED PUBLICLY ABOUT HIS SCRIPT. If it were actually being used for a film, you’d think studio executives wouldn’t be happy with the scribe disclosing details. 2. Why hasn’t Warner Bros. made an announcement yet? The studio has announced a Superman-Batman movie for 2015 (starring Henry Cavill, who played the title character in this year’s Man of Steel and is to play Napoleon Solo in the U.N.C.L.E. film); a 2014 science fiction movie directed by Christopher Nolan (which will be a co-production with Paramount); and The Judge, an October 2014 movie with Downey and Robert Duvall. U.N.C.L.E. is supposed to start production in a little more than a month. Both Henry Cavill and Armie Hammer have separately said they’ll be doing the movie. Why is Warner Bros. still silent? 3. When will the U.N.C.L.E. movie reach audiences? Assuming the film begins production in early September, it’s possible you could get it out in time for the television show’s 50th anniversary in September 2014. But Warner Bros. (as noted before) has already announced fall 2014 films. 4. What about the rest of the cast? Will there be a Mr. Waverly, the U.N.C.L.E. chief played by Leo G. Carroll in the original 1964-68 series? Who will be the villain? Will there be an “INNOCENT” CHARACTER, one of the key elements that made U.N.C.L.E. different than James Bond? 5. What about the rest of the crew? As of early Aug. 1, the movie’s IMDB.COM entry listed mostly members of the art department. No director of photography. No composer. No editor. Those are all pretty major jobs on a movie and you’d think they’d be lined up by now. 6. Is a $75 million budget enough? Variety said the budget is $75 million. That’s less than half the budget for the 2012 James Bond movie Skyfall. Still $75 million ought to be sufficient. The movie is to be 1960s period piece, but computer effects make it easier to recreate past periods. Meanwhile, Hollywood has a hangover from a half-dozen or so very expensive movies that flopped, including The Lone Ranger with Johnny Depp and Armie Hammer. It makes sense that Warner Bros. would be more conservative with this project.